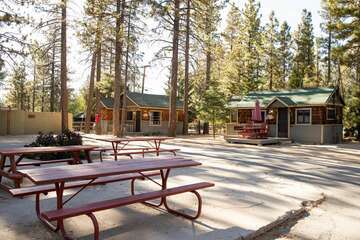 Though often overlooked in favor of nearby Big Bear Lake, Cedar Lake is a scenic and lovely destination for those seeking a locale seemingly frozen in time. Because of its location just a short distance away from Los Angeles and the Hollywood area (about a two-hour drive), this lake also entertains an elite status as a filming site for dozens of movies, including Kissin’ Cousins, High Sierra, The Parent Trap, and Brigham Young, as well as classic television shows like The Roy Rogers Show and Bonanza. On Cedar Lake, CA, you can partake in a variety of invigorating outdoor activities. Play a round of disc golf with your travelling companions, or go hiking in the lush forests surrounding the lake. Take to the water by canoe, or go for a refreshing dip. There are also rope courses and a zipline for visitors who like to add a little adrenaline rush to their vacation itineraries. Visit the iconic Amish log cabins, which were moved to the lake by the movie industry, or recreate your favorite scenes from T.V. and movies at the old sawmill and waterwheel for an extra dose of star struck, old-fashioned nostalgia. Close by, you can find all of the convenience of the unique shops and local restaurants in the Village, as well as the striking Snow Summit and Bear Mountain ski resorts for recreation all year long—not just during the winter! Plan an Unforgettable Alpine Adventure with Big Bear Cabins! 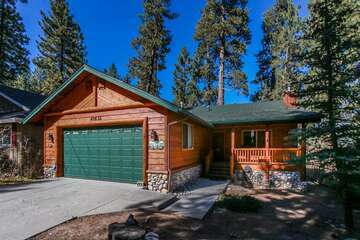 Cedar Lake, CA is just one of the exciting attractions awaiting you in Big Bear. 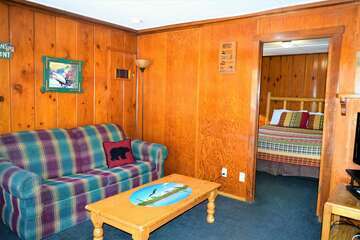 Find out more about what other hidden gems and fun activities Big Bear has in-store for you when you reserve your stay in one of the cozy mountain cabins that Big Bear Cabins has available for your trip accommodations today!